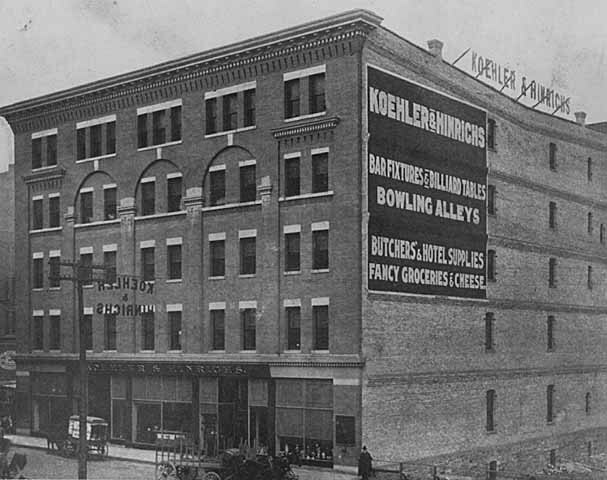 Koehler and Hinrichs established a wholesale house for butchers' and meat packers' supplies at Fourth and Saint Peter streets in 1884. This Sixth Street location offered better access to railyards. By 1901, they had outgrown this building and moved to 255 East Kellogg. Many Lowertown wholesalers followed similar relocation patterns as railroad development expanded their markets. Celestia Gilbert, Alice Jackson, and Carol Currie: Women as well as men recognized the profit potential of investing in construction in Lowertown. Celestia Gilbert, Alice Jackson, and Carol Currie owned adjacent buildings (Konantz Saddlery Company Building, and Koehler & Hinrichs Company Building), which they rented to wholesale firms. 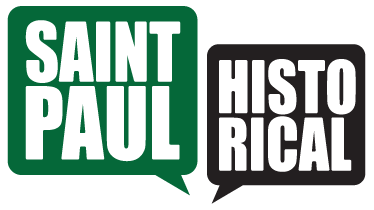 City of Saint Paul and the Saint Paul Heritage Preservation Commission, 1988, “Koehler and Hinrichs Company,” Saint Paul Historical, accessed April 18, 2019, https://saintpaulhistorical.com/items/show/208.